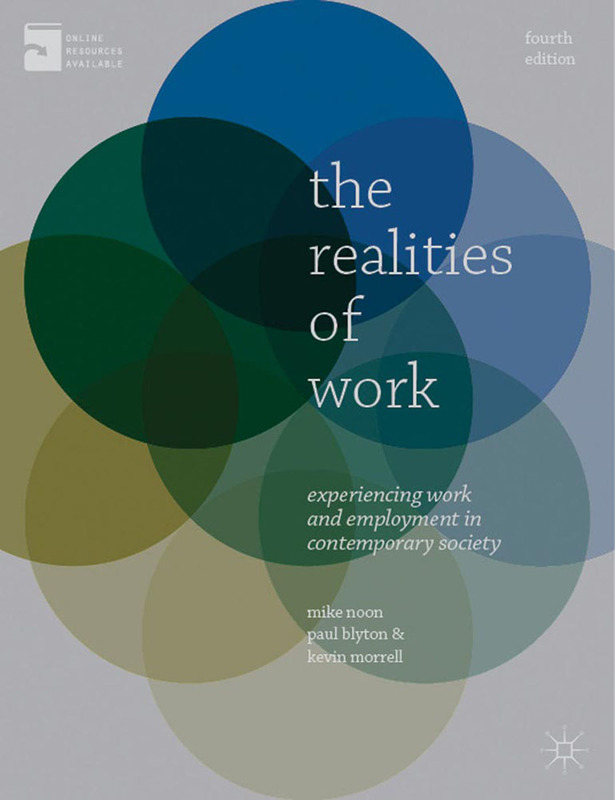 The Realities of Work adopts a unique approach providing a critical examination of work from the employee's perspective. The book explores the effects of being managed and how employees themselves interact with and respond to the strategies, tactics, decisions and actions of managers. Packed full of features such as key concepts, real world examples and exercises, the book introduces students to multi-disciplinary material from across the social sciences and encourages them to think more deeply about the variety of issues involved.New to this edition:• Thoroughly updated to reflect broad social and economic changes• Detailed examination of the global financial crisis (GFC) and its effect on workers• Explores recent research findings that focus on how work issues and demands affect employees• Completely rewritten to improve accessibility• Fully revised case studies and exercisesThe Realities of Work is an essential text for undergraduate and postgraduate students of management, HRM, organization studies, employment studies and work sociology.Visit www.palgrave.com/business/noon4 for additional student and lecturer resources.